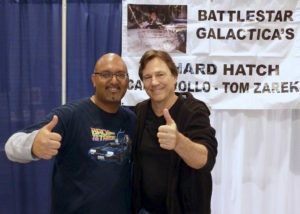 If you are a fan of Battlestar Galactica, you’ll easily recognize the name Richard Hatch. He played Apollo in the original 1978 version and later played Tom Zarek in the re-imagined series that started in 2004. 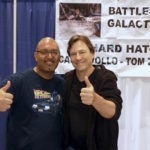 While searching for Battlestar Galactica songs in Apple Music, I came across Richard Hatch’s Battlestar Galactica memoirs which are freely available to listen to on Apple Music. 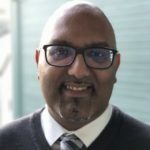 It was fantastic listening to him talk about the his origins as an actor, how he landed the role as Apollo and later became such an important part of the Battlestar story both on and off set. Anyone who is a fan of Battlestar Galactica should spend the time to listen. Richard Hatch narrates his memoir so it’s like you were sitting with him listening to him talk about his life. I had the privilege and pleasure of talking with Richard Hatch a few years ago at WonderCon 2014 and it was like talking to him again. I hope I’ll have another chance to chat with him again in the future. 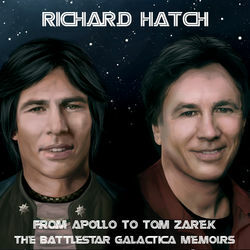 From Apollo to Tom Zarek – The Battlestar Galactica Memoirs is available on Apple Music and on the iTunes Store.